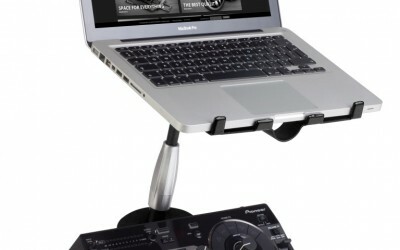 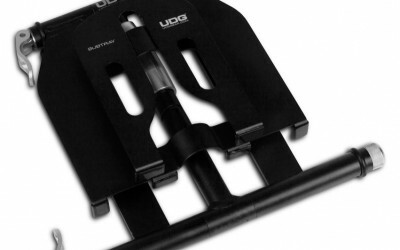 Trusted DJ gear brand, UDG, introduce another essential addition for amateur and pro DJs, producers and musicians alike; the UDG Laptop Stand. 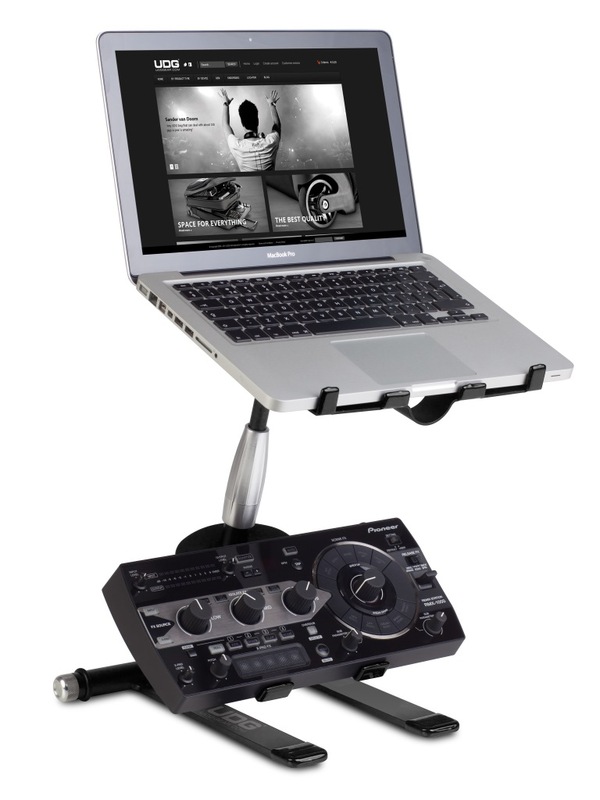 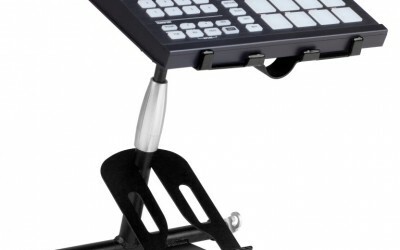 Specially designed for serious artists who need to balance both a laptop and a controller, the sleek UDG Laptop Stand has a series of quality features including, solid secure construction, height and angle adjustable stands and trays, low-weight design making it easily portable, and what’s more, excellent affordability. 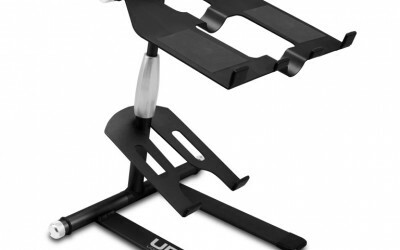 It also comes with a protective neoprene sleeve and is now available from www.udggear.com for £129.99. 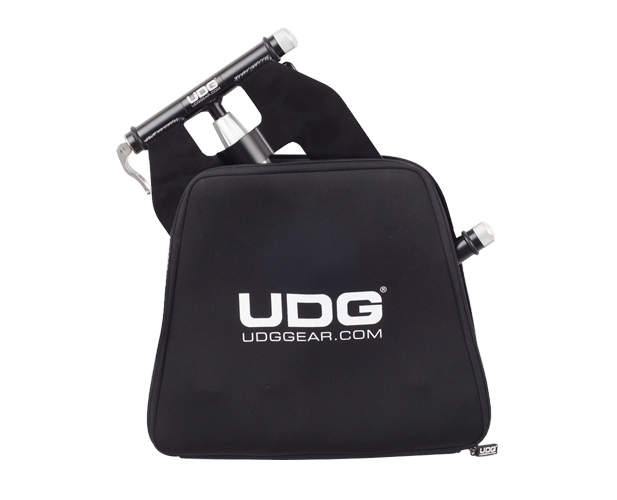 UDG is the music professional’s veritable go-to brand for all things highly functional and protective for much coveted equipment. 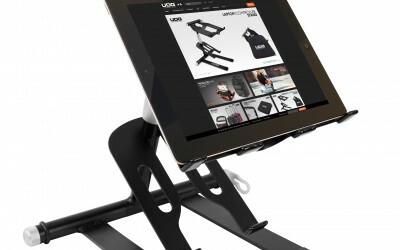 Known worldwide as an exceptional “bag producer” for their well-designed and sturdy carry-alls, the UDG Laptop Stand is a natural progression in their product line, and continues to uphold their reputation for high quality and great value. 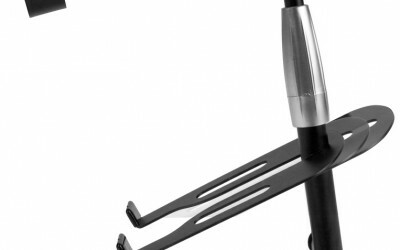 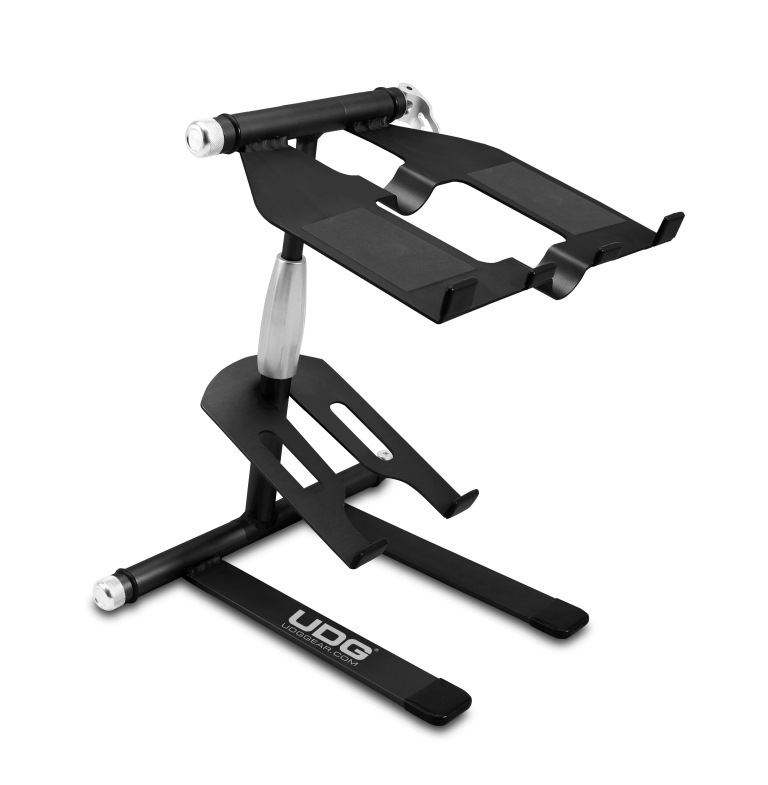 Every performer who uses a computer will appreciate the high aircraft grade, anodized aluminum quality of UDG’s Laptop Stand as it balances low weight with solid and secure construction. 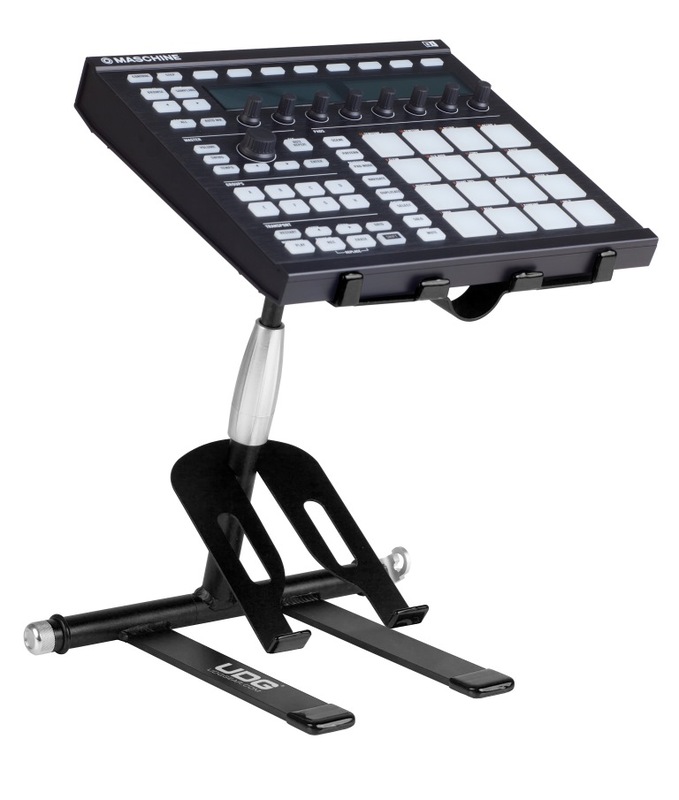 The product is easily assembled in a matter of seconds, and is compact either when set up or stored, which is ideal for those looking for extra space in often cramped DJ booths or studios. 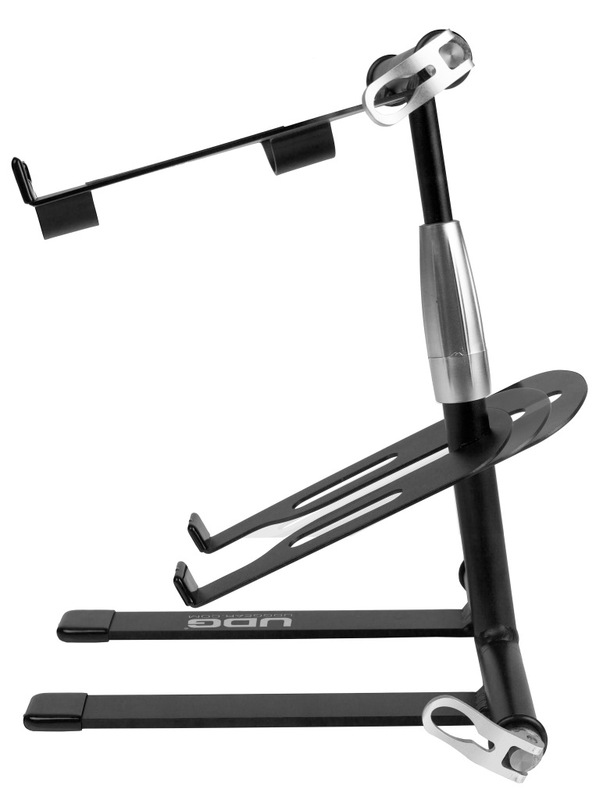 Quite possibly the best feature however is its height adjustable and rotable design. 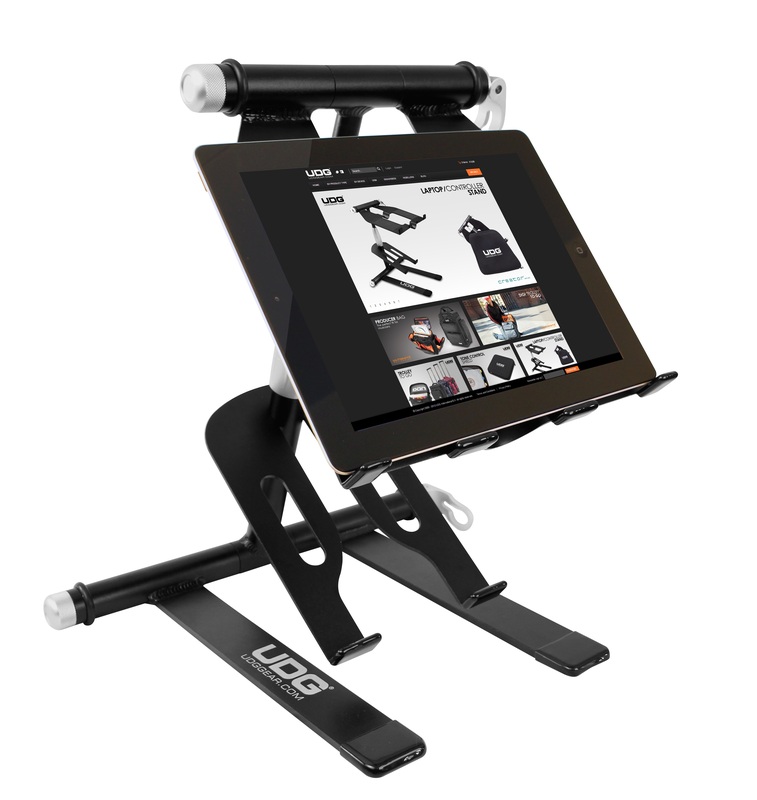 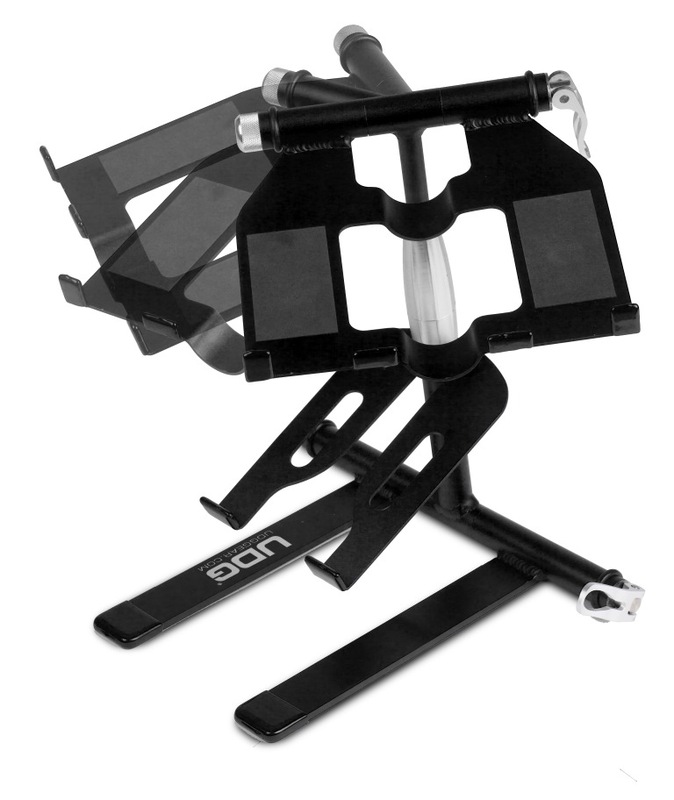 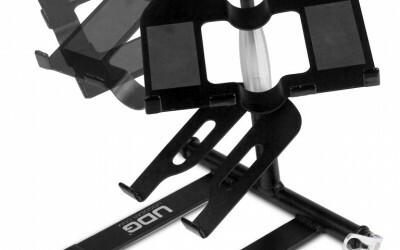 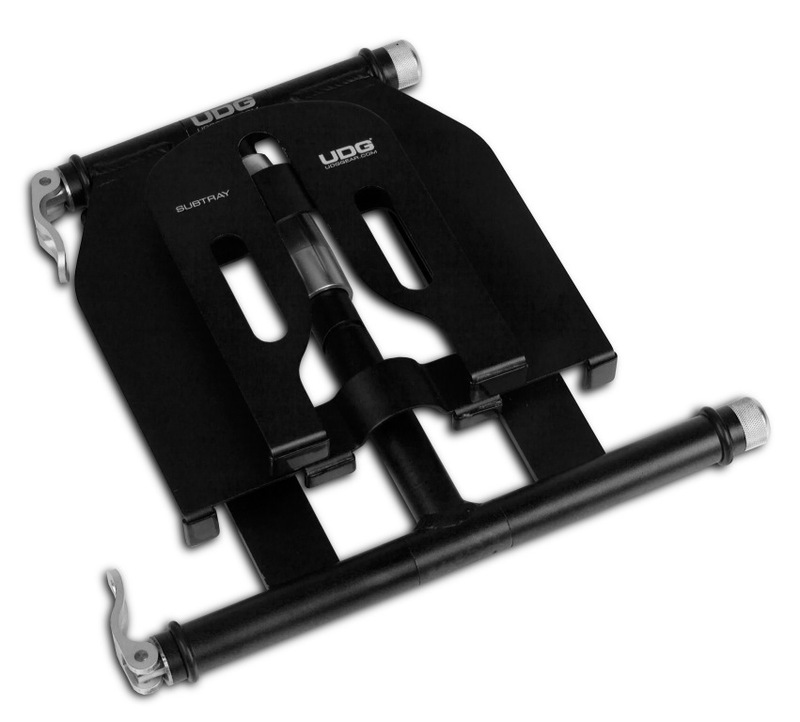 For direct information on the UDG Laptop stand click here.